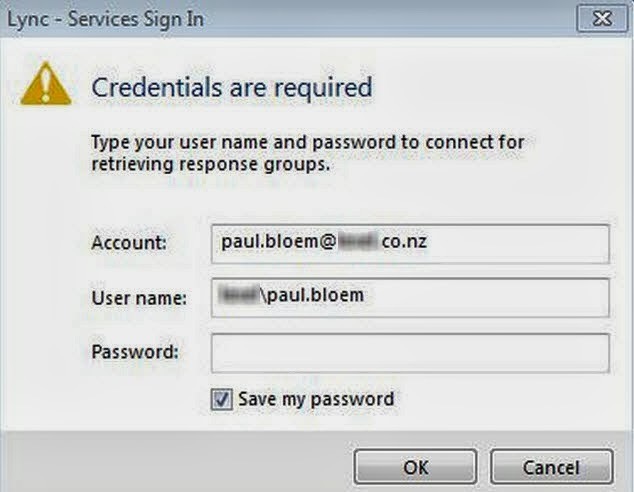 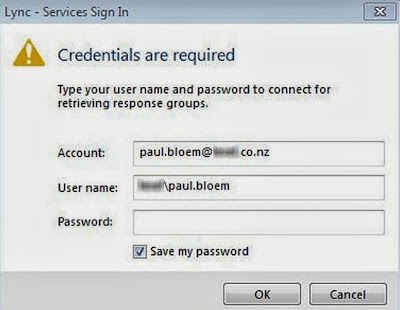 Get a second prompt for credentials when logging in with the following text..
"Type your user name and password to connect for retrieving response groups"
The Lync Share needs to have read\write permissions to itself and containing folders. Corrected in the Advanced Sharing tab as below. 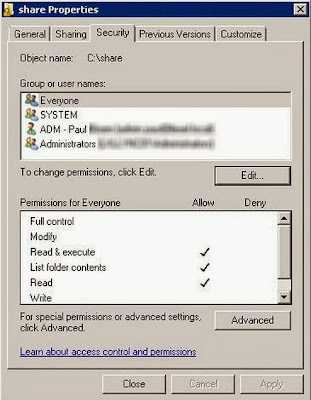 Are you saying that SYSTEM needs R/W share permission?